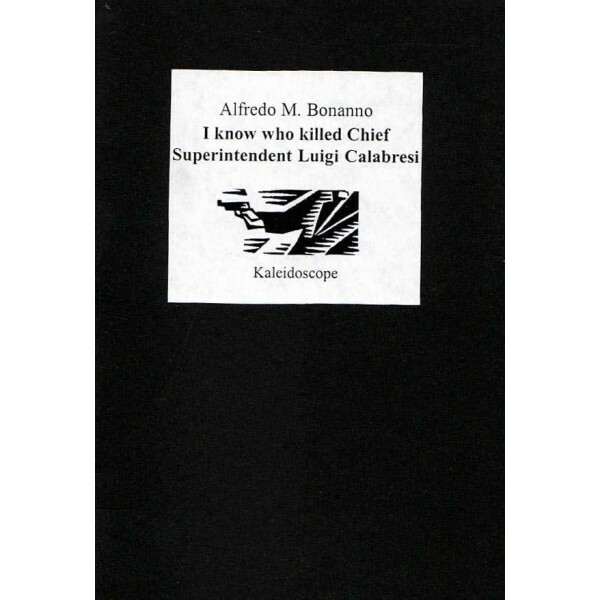 New pocket book size pamphlet of Alfredo Bonanno writing. I know who killed Chief Superintendent Luigi Calabresi on May 17 1972, outside his house in via Cherubini 6, in Milan, at a quarter past nine in the morning. This is a serious statement, not due its judicial implications, for goodness sake, which I don’t give a damn about, but for quite other reasons, and these reasons are what I want to draw my readers’ attention to. Basically, if we stop and think for a moment, what is there that we can be certain of? We get up in the morning, have a quick breakfast, rush to school, work, the nearest park to meet some friends, in a word, each towards their own daily business. In the evening we come back and lie between the sheets, nearly always the same as the evening before, which we can feel sure about the various events we have seen pass in front of our eyes during the whole day. As soon as some event takes place, no matter how simple, the coffee we had in the morning in the bar, everything surrounding it becomes confused, tends to suffocate in detail, and disappears in a non-requited desire for precision. In the end we have a recollection of what happened, of the things we have done, but our affirmations about single events are so inadequate as to make us conclude that we cannot be sure about anything. But how is that possible, some might say? The answer is simple. We are only certain, always within given limits, about what we are really interested in, about what is so close to our personal feelings, needs, desires, dreams, projects that it gives us a punch in the stomach. We only remember the punches in the stomach. In itself, life does not give us many punches in the stomach, and perhaps it is better that way. Think what it would be like to have a life constantly lived emotionally on the edge, to the point of almost exploding, overcome by adrenaline. Some calm, please.